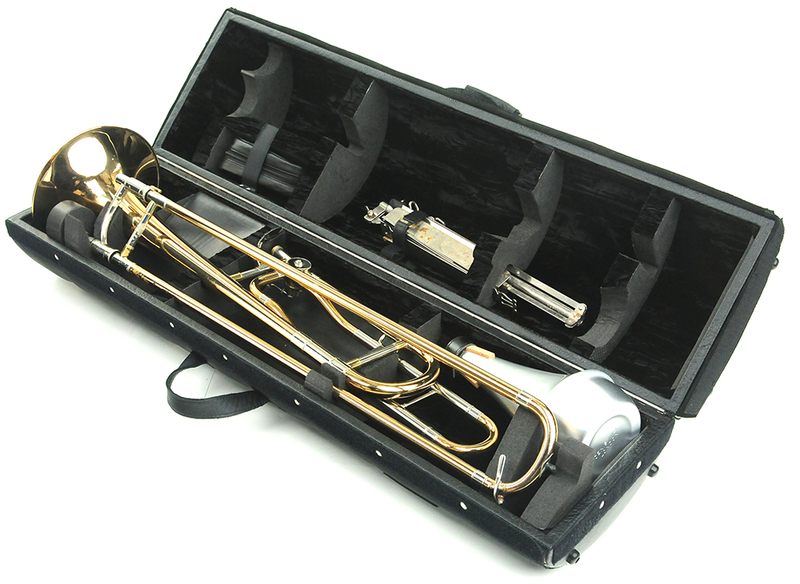 Designed to be very compact, supremely strong, but very light-weight trombone cases. These cases are designed to offer the highest level of protection whilst offering the compactness and lightness offered by the wide range of semi-hard cases already on the market. 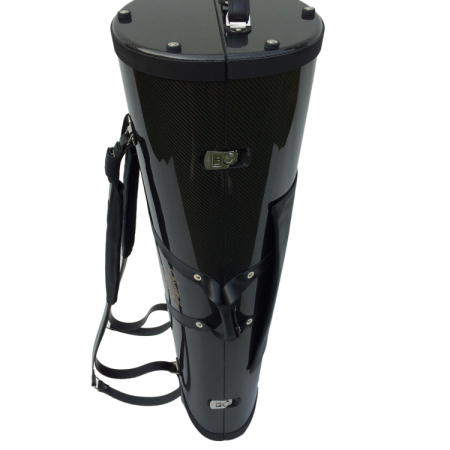 These cases are designed to give maximum protection both in terms of a strong exterior crush resistant shell and also the suspension and security for the instrument inside the case. 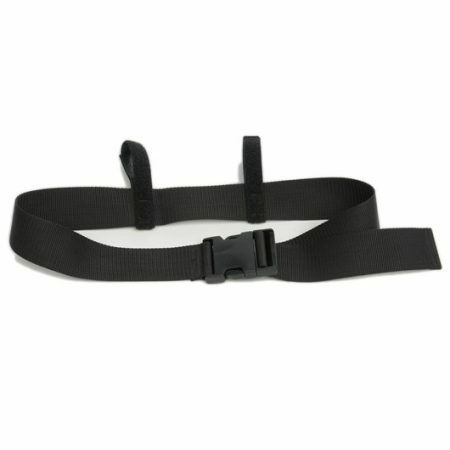 Complete with shoulder straps ( back-pack straps), detachable hip belt, music pocket and a very secure spot inside the case where a music stand can be strapped into place. 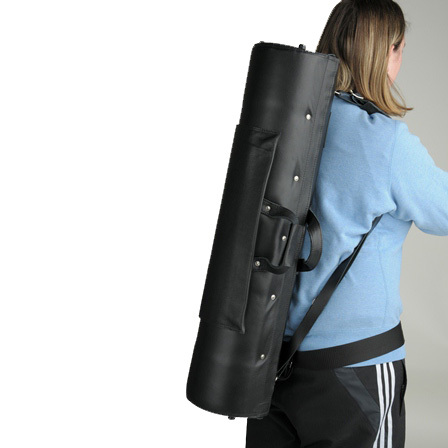 Everything required by the musician can be safely and securely housed in one space. 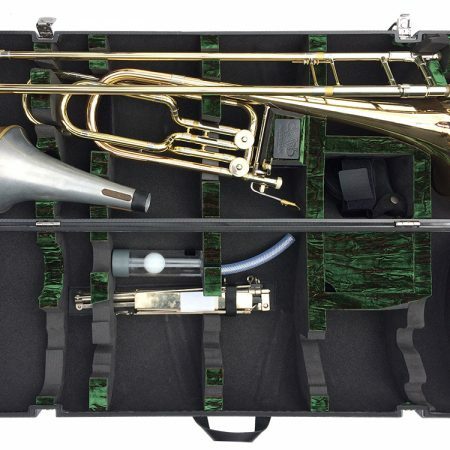 Wiseman trombone cases can only be ordered directly from us by email and an invoice will be sent to you once we have discussed your precise requirements. length is 36.75 inches , the larger end is an oval that is 10.25” wide and 9.5” deep. The case then tapers down to the smaller end which is 10.25” wide but only 6.25” deep. 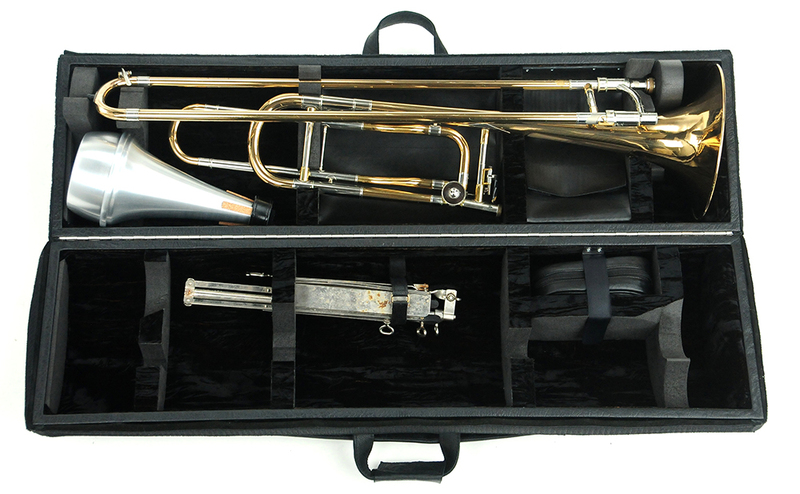 Tenor & Bass Trombone cases are all made to special order. Please do contact us with any special requirements or enquiries.